Mangalore owing to its Coastal location is known for its bountiful fish and Mangaloreans for their love of making and eating fish. 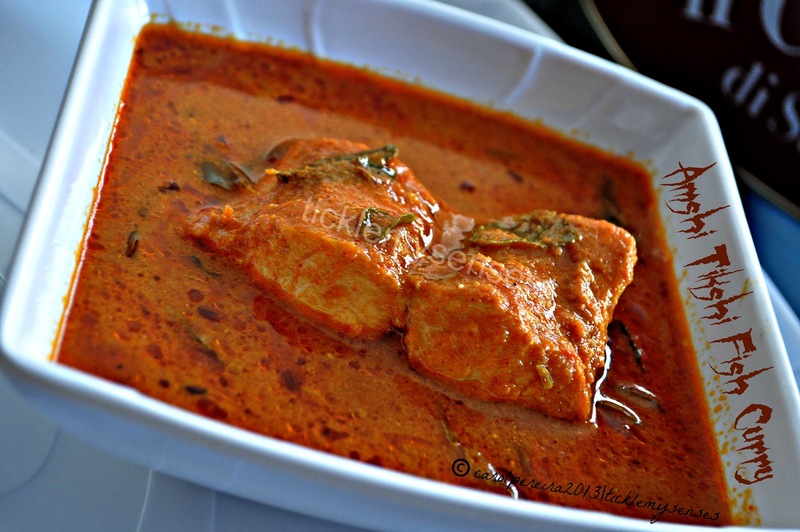 Every Mangalorean Catholic household has their own set of recipes for making fish curries, and believe you me each one's curry will vary in taste and flavour based on the permutation and combination of the spices used and method of cooking. Mangaloreans have long since perfected the art of Cooking Fish. Fish Curry making is taken seriously and there are recipes developed over the centuries to suit every known fish found in the Indian waters, be it the piddly fresh water or river fish to the larger ones found in the sea. The ever so popular 'Xitt Kade' served as Staple in Mangalore food joints, is 'Steaming hot rice served with the much loved Mangalorean Fish Curry' a Coconut based fish curry for fish like King Fish, Pomfret, Sole fish, Lady Fish. The preparation might be a little painstaking as it involves grinding of spices with Coconut, but so worth it and the flavours are sublime. 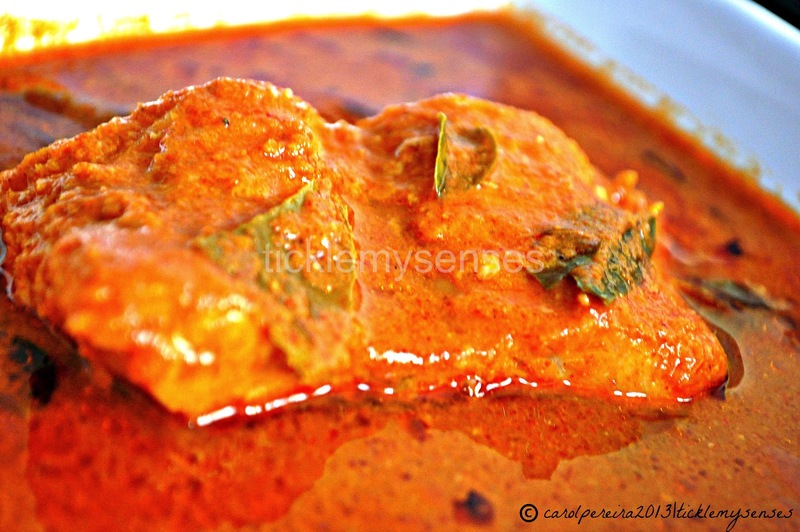 Also well known the Flaming Red 'Hot and Sour or Amshi Tikshi' Fish Curry, specially created to mask the fishiness (himsaan) of fish like Mackerels or Sardines is more tongue tingling and personally my favourite way of cooking fish. I tend to use this style for most fish we get here in the UK (Salmon, Trout, Pangasius, SeaBass, Shark, Cod, Pollock) as I find it easier to make, quicker and Kadak (hot) packed full of dhum (flavour). 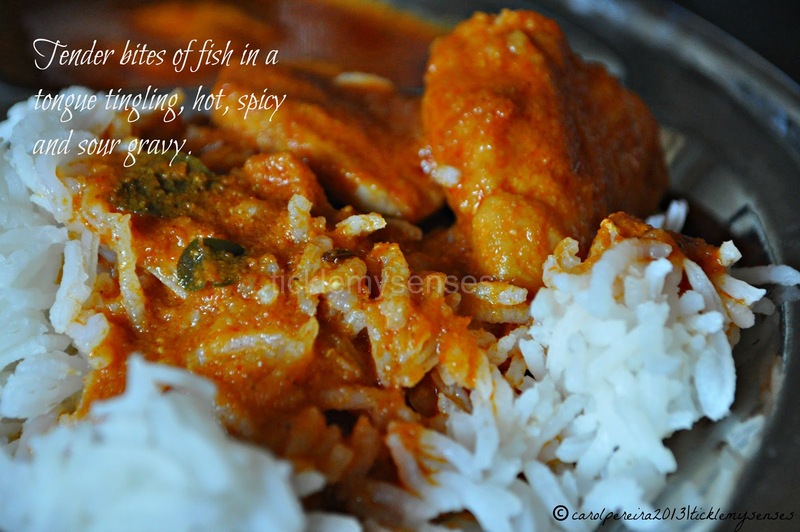 Check out the non Grind version for Amshi Tikshi fish curry here. 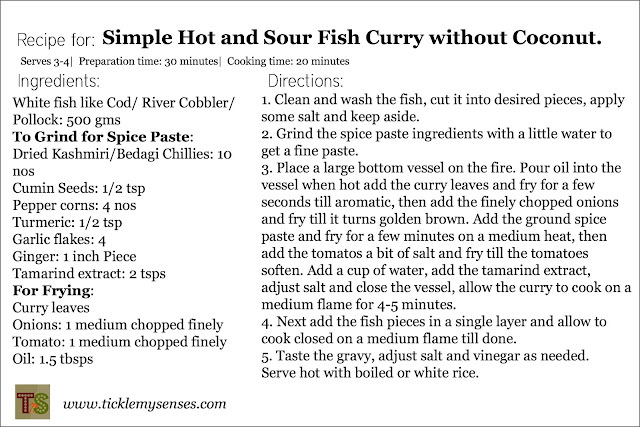 There are other styles of fish curries which I shall discuss eventually. Enjoy this Hot and Sour fish curry brimming with flavour and bursting with the colour of Spring with a bowl of rice! !